For any business to survive, it must grow. This could mean gaining more customers, increasing sales of existing products, adding new products, broadening your geographical market or buying out a competitor. 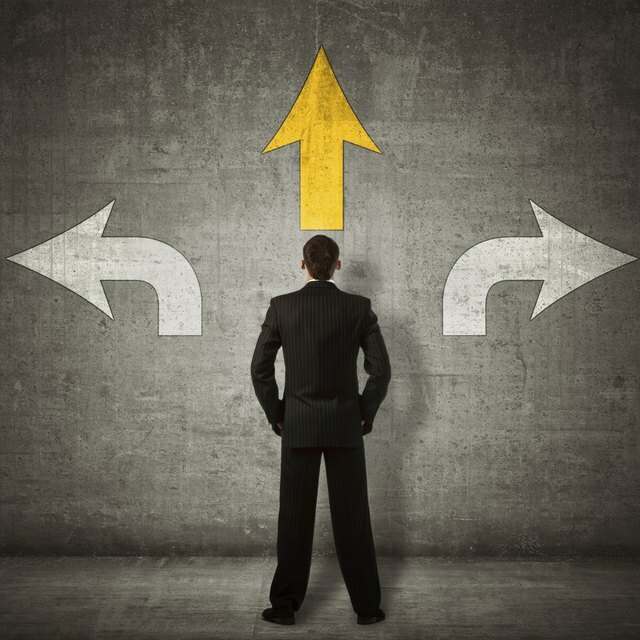 Whichever path is chosen, you need a well-defined organizational strategy to guide the way. An organizational strategy is a road map that guides a company on the way to achieving its objectives. The choice of strategy depends on how the business is positioned in the marketplace. Where do you want your company to go? What are your goals – more profits, more sales, bigger buildings? What do you envision for your business? To accomplish any of these objectives, you must have a plan – a road map of where you're going and how you intend to get there. Who will be responsible for which parts of the journey? These plans form the basis for an organizational strategy. It is the big picture of where you want the business to go and the activities needed to get there. An organizational strategy is the sum of the actions you must take to achieve your long-term goals. Strategies are dynamic. They should be reviewed continuously to find out what's working and what's not. Adjustments can be made to get back on track. It's like playing chess. If a competitor makes a move to counter your objectives, you adjust and counterattack. It's an ongoing process. The time frame for a strategy is long term. Generally, this means one year, but it could be three or five years. The further ahead you plan, the fuzzier it gets. Constructing a strategic plan takes a lot of time and effort. More than likely, you'll have to begin working on the next strategic plan at least six months before the preceding plan ends. So, adjust the timeline to your needs and activities. A strategy is a road map. It begins with a clear understanding of where you are now and where you want to go. The strategic journey defines the twists and turns in the road on the way to achieving your goals. It identifies the tasks along the way, who will be responsible for specific results, the mileposts and key performance indicators to measure progress and when results are expected. Analyze the current state of affairs in your company. How strong are your managers? Are the employees well trained? Does the company have enough cash in the bank to fund the strategy? Are credit lines available if needed? An honest, steely-eyed assessment of the present state of your company is essential. This is not the time or place to gloss over weaknesses in your business or pretend that they don't exist. Failing to deal with inadequacies in personnel and operations leaves a poor foundation on which to build a new strategy. How capable are your supervisors and department heads? If you have reservations about any of them, this would be a good time for further leadership training or possibly replacement. Are you satisfied with the customer mix? Are they all profitable? One part of improving sales is to constantly upgrade the quality of the customer base. Focus on those customers who are the most profitable and easiest to deal with. Sometimes, it's a good idea to fire a customer. Is the competition stealing your customers? If your competitors are taking your customers, part of an organizational strategy should be to improve and strengthen customer relationships. Are your sales personnel able to close the deal? Sales personnel may need more training in selling techniques to improve their closing ratios. How strong is the company financially? Too much debt in proportion to the capital base can hinder the implementation of a strategy, and bankers may be reluctant to extend further loans. Identify the strengths of the business and incorporate them into the strategy. Recognize the weaknesses and make plans to improve or eliminate them. A successful organizational strategy has a core purpose that defines the business. It is determined by the owner's vision of the company in the marketplace. For example, the owner may decide that the company should offer the best prices and be a cost leader in the market. This strategy may increase sales, but will it be profitable? The business owner's vision of the company's position in the marketplace determines the type of organizational strategy to pursue. The overall objective is to gain a competitive advantage and maintain long-term profitability. A business has three choices of strategies to gain this advantage: low-cost production, differentiation or focus. Low-cost production: The goal for this strategy is for the company to operate at the lowest cost possible and offer lower prices to the consumer. This means the business has to minimize its cost of labor, find the cheapest source of materials and operate at minimal expense. The low-cost method increases profits by reducing the costs of services and products and charging lower prices to gain market share. If at thinner profit margins, the increased market share will lead to better overall profitability. A no-frills airline is an example of the low-cost strategy. They do not offer any benefits other than a low-priced ticket. You'll have to pay for baggage, and they may even charge for the peanuts. The airline buys the cheapest fuel it can find, pays the least amount of wages that employees will tolerate and operates with a bare-bones overhead. Differentiation: With a differentiation strategy, the company makes its products distinct from those of the competition. This means identifying unique features or functions of the products and promoting them to buyers. The success of this strategy relies on in-depth market research and finding innovative ways to attract customers. It depends on convincing consumers that the highlighted features are worth the price. Sales and marketing programs must be designed to promote the differentiated benefits offered by the products and send messages that are understood and believed by consumers. Airlines that offer better service, more comfortable seats and better-quality food and snacks are examples of a differentiated strategy. These airlines try to convince passengers that even though ticket prices may be higher compared to the low-cost airline, they will have a more pleasant trip and receive more perks. Focus: A company using the focus strategy concentrates on a specific niche market, which has a smaller number of potential buyers. The objective is to give exceptional product quality and customer service that results in strong brand loyalty. Competitors will have difficulty breaking into this niche market. However, a focus strategy is not complete by itself. The company must still decide whether to compete as a low-cost producer or with differentiated product lines. Either way, the business has to offer something extra, such as a lower price or a better feature. A small airline that serves markets with fewer flights is an example of a focus strategy. What Are the Components of a Strategy? Finances: How much money will it take to finance the execution of the strategy? If enough cash is not available, you will need to make plans to borrow the funds or raise more capital from shareholders. Marketing: The marketing and advertising campaigns must be aligned with the direction of the business, with enough funds on hand to accomplish the objectives. Sales: A sales plan includes the determination of the desired product mix and directions to the sales force to achieve that desired combination of product mix and profitability. Production: If the plan intends to increase sales, does production have the capacity to keep up? If not, the strategy must include plans to buy more equipment. Research and development: Looking to grow the business also includes keeping new products in development. Personnel and funds should be allocated for research and development. Purchasing: The purchasing department is often overlooked in strategic planning. Purchasing employees need to share their skills and experience when forming a strategy. Human resources: Without skilled and motivated employees, any strategy is doomed to fail. Take an honest look at your employees. If they need training, provide it for them. Specific: Goals must be specific. Saying you want to be an industry leader is not enough. Setting a goal to increase sales by 13 percent is specific. Measurable: A goal that is specific can be measured. All objectives should have a quantifiable metric. This doesn't exclude qualitative goals, but you have to find a way to measure qualitative indicators. Achievable: You and your employees must be convinced that the goals can be reached and that it is within their ability to accomplish the objectives. Otherwise, no one will even try. Employees must agree with the goals and believe that they can accomplish their assigned tasks. Realistic: The company must have the resources to achieve its goals. Is there enough capital available? Are the employees sufficiently trained, or will they need to learn new skills? Time: Each individual objective has to have a specific date for completion. This means defining a series of tasks that must be achieved by certain dates along the road map to the final goal. After setting up your goals, identify who will be held accountable for achieving each separate task on the roadway to the objectives. Maintaining a focus on the organizational strategy and keeping everyone enthused is a task in itself. Celebrating accomplishments along the way increases motivation. It encourages your employees and gives them confidence to continue. Everyone likes to bask in appreciation. Don't dwell on the failures. Involve everyone and encourage them to submit their own ideas. Employees are a wealth of information and experience and can be a source of creative solutions. Allowing them to share their ideas gains their participation and commitment to the success of the strategy. Let employees take ownership of their suggestions. People take pride in seeing positive results from their recommendations and being recognized for their achievements. Give them authority and responsibility. Stay focused on the execution of the plan. Distractions will pop up that will be tempting to pursue. Don't do it. This is not to ignore issues that may require modifications to the strategy; just don't allow yourself to be led astray by the next shiny object. If something appears to have promise, make a note and incorporate it into the next strategy plan. Don't let doubts creep into employees' attitudes. When problems and bumps appear, find solutions instead of admitting failure. When a business owner stays motivated and excited about growing and moving the company forward, the employees will absorb this passion and commit their efforts to achieving the same success. An organizational strategy defines a long-term vision for the future of a business. It unifies employees in pursuit of a common goal, creates value in the minds of customers, works to increase shareholder worth and provides a foundation for growth.